Painting not only transforms a room, adds a new look or brightens up your home or workplace. Painting is also essential to protect surfaces and enhance and extend the life of your assets. 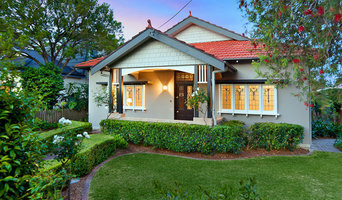 Painting can also add financial value to your property. When it comes to Jonah The Painter – no job is too big or too small. We only do one job at a time so that the focus is always on the job at hand. This helps us to adhere to the quoted completion time’s accuracy. Should any variances to the completion time arise these will be immediately discussed with you – there are some things however, such as the weather that are out of our control. We will endeavour to adhere to the quoted completion timeframes. We will spend as much time needed to ensure that we understand your needs. Within 48 hours of our initial meeting and inspection of the painting location, we will supply you with a FREE comprehensive quotation (either via email or hard copy) outlining the scope of work which is to take place along with an honest timeframe for completion. Jonah The Painter offer colour, finish and product guidance and advise based on our professional expertise. All of our work is thoroughly prepared and we always use quality materials. We will thoroughly prepare before applying any paint. This can include but are not limited to such things as cleaning surfaces, removing mould, removing wallpaper, repairing cracks, remove flaking paint and sanding. Along with our experience and proficiency, we use a wide range of finishes, products, techniques and colours to help achieve a professional result. We offer a service whereby, the manager will come and inspect the job prior to completion to ensure that you are happy with the results. Another person’s eyes looking over the job is a useful tool to pick up any areas that may need attention. Although painting is a “disorderly” process, the team at Jonah The Painter will aim to minimise the disruption to your home or workplace and complete the work as soon as possible. We will respect your property and leave your home as tidy as we found it. You can be assured that the quality of our workmanship and service will always produce professional results. With a painting job of any size, it’s not wise to try doing it yourself, or to hire the least expensive painter available. The lowest price probably doesn’t offer the best value, and UP CLASS Painters is almost certainly a much better choice. Here are some reasons: No Risk: All work is backed by the industry’s best guarantee and performed by some of Sydney’s best painters in UP CLASS Painters stands on its warranty and holds to high standards of service. Trained Painting Professionals: You don’t want a bunch of amateurs doing your job. 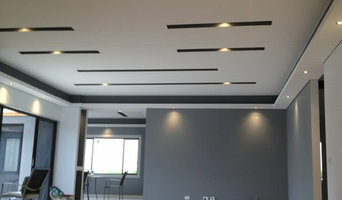 We use only professional career painters. We promise that we’ll give you the highest-quality service possible and that we’ll get the job done properly, on time, and within your budget. Sydney Star Painting and Decorating has been providing expert painting services to commercial, domestic and industrial customers for over 10 years. We are fully licensed in painting and decorating. Our services include: • Painting: Customers can rely on us to give them high quality finishes after we have completed our project. We also handle fence painting for our customers. • Colour Consultation: We help customers select a colour or paint that will work best for their projects. • Exterior Timber Maintenance Our customers are used to receiving great services whenever they hire us. We are meticulous workers who always deliver results that exceed their expectations. We are dedicated to providing high quality services to all of our customers. For us, no job is too large or too small. We devote the same amount of attention to large and small jobs alike. This is one reason why we have a lot of previous customers coming back to us for additional work. They know that we can trust us to meet their high standards of quality. We also get a lot of new customers that were recommended to us by previous customers. Our customers choose us over other companies offering the same services that we do because we are good and reliable professionals. We are punctual and we always work on time. Our value for money services: We always try to keep our prices affordable and customers can rest assured that we don't overprice our services. Our standard hours of operations is from 7:00 AM until 4:30 PM from Mondays through Saturdays. Please call us during these hours and we will be more than happy to help you with their concerns. We are a team of dedicated painters with 20 years of experience in providing professional painting service to the Illawarra regions and surrounding areas. Our goal is to provide our clients a painting service that is positive and stress free. From initial quotation and consultation to the completion of work, we provide the highest level of professional painting service that result in a perfect finish everytime. Over the years, we have completed thousands of painting projects and we are proud of our great reputation and outstanding achievements. Our workmanship is of exceptional standard, high quality and durable that gives you the complete satisfaction guaranteed. Cornford painting is a 2nd Generation family business which has been operating for over 57 Years, servicing the Illawarra, Southern Tablelands, far South Coast and Sydney. 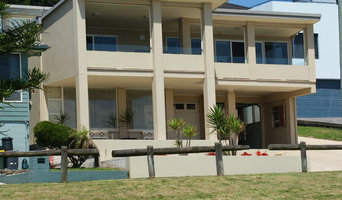 Procorp Painting are located in Bowral and service all of Southern Highlands, Sydney and Wollongong areas. If arranged we can also take on country and interstate jobs. Procorp Painting specialise in all aspects of painting and decorating. We provide a comprehensive range of interior and exterior painting services to suit either residential, commercial or industrial application. Having flexible working days and hours Procorp Painting will meet any demands insuring we cater for all your needs. Our experienced and fully qualified team of painters will help accomplish this goal. Achieving a long term relationship with our customers is our aim to business, so not only do we fulfil the quality but offer a service above the customers expectations. Our painters and decorators will take great care and pay attention to even the smallest detail when completing each job. D & J Saverino Painting offer colour consultation and custom painting for your home or businesses interior or exterior. Be it different styles, colours and finishes, we have the expert advice you need to bring your place to life once again. We are a painting and decorating firm offering professional service throughout Fairy Meadow. For 15 years, we have become the one of the key players for restoring all metal, wood, glass, ceramic tiles or any surface possible. The modern and state of the art equipment are used by us to achieve those exceptional and high quality results. We protect all interior and exterior while conducting renovations and restoration so they are in perfect condition upon completion. No paint job is too big or too small for us. We strive to give you the best price you will find for quality paint work. We take pride in our workmanship that directly leads to a quality job that is high on visual impact. This also contributes to a wider range of satisfied customers and clients. Abel & Glen Australia is a family run business passionate about style, design and functionality with over 30 years experience in the construction industry. Our innovative cement based decorative coating can be applied over almost any surface 2-3mm thick to create a modern, luxe and hardwearing burnished concrete look on floors, walls, bench tops, stairs and bathrooms. It can be applied over almost any surface including existing tiles, glass, marble, granite, wood, concrete, fibre cement sheeting. Andy Harris provides painting services in Bowral for any job, big or small. From little patch-ups to whole new colour schemes, we are the ones to call to get your house looking its absolute best. We can also protect your home's exterior from the elements by weatherproofing. We make sure that your painting is done right, at an affordable price, and with no mess. Our contractors have an eye for detail which means that no corners are missed. Whatever the purpose of painting, we'll make sure that your house is left looking fantastic. Refraction Painting Services provide a well-experienced and professional approach to painting your home or business. With our vast knowledge and experience in the industry, we can assist you with every facet of painting and decorating. Refraction Painting Services strive to deliver your project in a timely and cost effective manner, and do our utmost to limit any inconvenience to your household or business. We use only the highest quality paints, to produce exceptional and lasting finishes. We are licensed, fully insured and Dulux accredited, however we understand that sometimes you may require more for your peace of mind. We are therefore happy to provide police checks upon request, to assure you of our honest and trustworthy nature, before entering your home or business. There’s nothing better than giving your home a facelift to make you enjoy your space a little more. 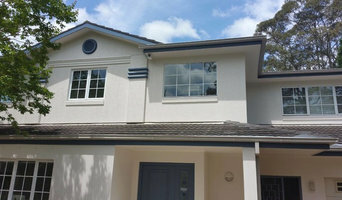 J.C's Painting offer professional painting contractors in Illawarra and South Coast. Sure, you can do it yourself, but the time and effort you put into painting can be frustrating, and when things don’t turn out exactly as you want them, it can be greatly disappointing. If painting your walls or installing wallpaper aren’t your favourite jobs, it’s very well worth considering hiring a professional for it. Not just for the obvious time-saving, but there’s actually more to a good paint or wallpaper job that you might think! Whether you’re looking to paint your bedroom or living room, you’re always starting from the all-encompassing question of which colour to paint your walls or which wallpaper to choose. The next challenge is selecting the best product for your needs. And don’t even mention the work involved in preparing the wall and applying the paint so it lasts. If you’re looking for a professional house painter or wallpaper installer in Wollongong, New South Wales you’ve come to the right place. You’re sure to find the best painter for your job in the Houzz professional directory. Here on Houzz, you’ll also find Wollongong, New South Wales professionals who can create a more creative wall design for your home, including wall murals or custom wallpaper. Murals drawn by an artist will often require a large space, but it’s worth investigating if you’d like a one-off feature wall every visitor will remember. If you’re after advice rather than application, here you’ll also find colour specialists that can help you in your quest for choosing the right paint colours or wallpapers for your abode. 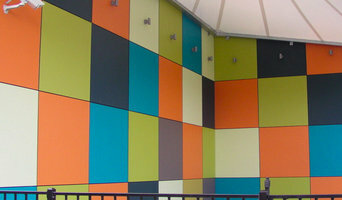 Scroll through this page to find painters and wallpaper installers in Wollongong, New South Wales. You can browse their latest projects, read reviews to see how other homeowners rate their work, and message them directly.